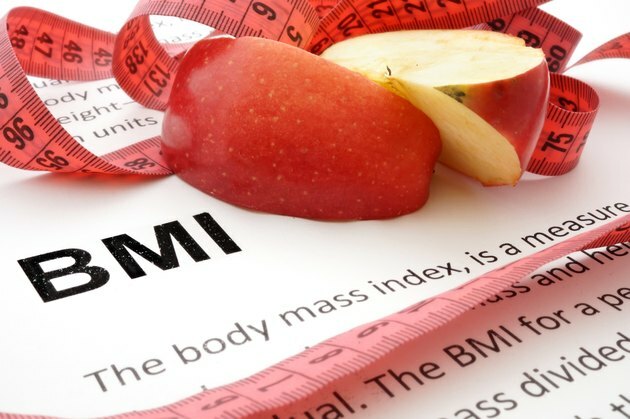 What Is the Healthy BMI for a 16-Year-Old? Body mass index is used to estimate whether a person is at a healthy weight and body fat percentage for his height. With adults, a BMI between 19 and 25 is healthy, but for children and teenagers, the range of normal varies so much because of differences in growth rate that the healthy range is different based on age and gender. A BMI between the 5th and 85th percentile is considered healthy for children and teens. With each additional month of age, the healthy BMI range increases slightly. For a 16-year-old boy, this means a BMI between 17.1 and 17.7 would be at the low end of the healthy range; a BMI between 24.2 and 24.8 would be at the high end of the range, depending on the boy's age in months. A 16-year-old girl would be at the low end of the healthy range if she had a BMI of between 16.8 and 17.2, and at the higher end of the range if her BMI was between 24.7 and 25.2. There are different acceptable ranges for boys and girls of the same age because they tend to go through puberty at slightly different ages, and the effects of puberty are different on boys and girls. For example, girls tend to have increases in body fat to prepare them for potential motherhood, while boys tend to have increases in muscle as they go through puberty. The acceptable ranges are developed using a large number of children to determine what BMIs fall within the normal range for any given age and gender. BMI doesn't actually measure body fat. It's just an estimate, so sometimes a child or adolescent can fall outside a "healthy" BMI range without carrying too much or too little body fat. In people who have a lot of muscle, such as athletes, and those who have larger frames, body mass index tends to overestimate body fat. Likewise, it can underestimate body fat in people with smaller frames. To see if there's truly too much or too little body fat, a 16-year-old with a BMI that is higher or lower than recommended would have to have body fat measured through the use of skin calipers, bioelectrical impedance, underwater weighing or another similar test that more accurately measures body fat. These tests are done in a clinical setting, not at home. An abnormal BMI should be discussed with a doctor. Unless a 16-year-old has a health problem or an eating disorder, however, there probably isn't any need to try to gain weight. The teen will probably catch up to others in her peer group with regards to weight and height as time goes on, because a low BMI may be due to starting puberty a bit later than average. A 16-year-old with a higher-than-recommended BMI may want to start taking steps to manage weight. These include getting more exercise and limiting fatty foods, sweetened beverages, desserts and snack foods. Eat smaller portions, and only eat when hungry. Don't go on fad diets, however, as these usually backfire and aren't healthy. Try to get at least one hour of moderately intense or vigorous aerobic exercise each day, and limit the amount of time spent sitting or lying down. Consider adding two strength-training workouts each week to help build muscle, which burns more calories than fat even when a person is resting. This can be as simple as doing pushups, crunches, squats and other body-weight exercises, or can involve the use of equipment, such as exercise bands or weights. Nemours Teens Health: What's the Right Weight for My Height? Nemours Teens Health: How Can I Lose Weight Safely?